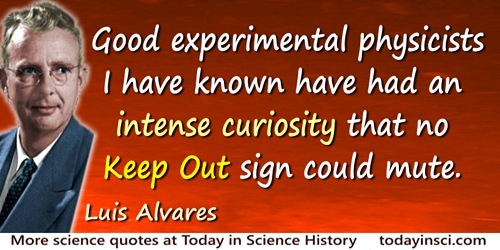 All the good experimental physicists I have known have had an intense curiosity that no Keep Out sign could mute. Science and technology multiply around us. To an increasing extent they dictate the languages in which we speak and think. Either we use those languages, or we remain mute.